Thank you to everyone who participated in Water Action Day on April 19! More than 1,000 Minnesotans joined us at the Capitol to urge legislators and Gov. Mark Dayton to invest in clean water and protect Minnesota's great outdoors. It was so successful that we decided to keep up the momentum and launch the Water Action Daily campaign. The day began with hundreds of advocates from across the state streaming through our home base for coffee and treats before heading into educational workshops. Participants learned about the worst environmental bills being considered by the Legislature and how to effectively lobby against them. Additional special focus areas included how to protect pollinators, and the impact of mining and pipeline issues as well as agricultural runoff. Many participants also stopped by our “Wisdom Table” to meet with policy experts, and tasted Kernza treats from our friends at Forever Green, before heading off to meet with their legislators to share our clean water message. Following a complimentary lunch, Water Action Day participants gathered outside the Capitol for a pre-rally clean water ceremony lead by NativeLivesMatter.org and the South Side Ramblers Drum group. Meanwhile, a group of more than 50 of our younger participants engaged in a youth caucus with Gov. Mark Dayton. When asked by a recent college graduate if he would pledge to veto a bad piece of legislation, the governor reaffirmed his commitment with a fist bump! Shortly thereafter, about 1,200 Minnesotans gathered in the Capitol Rotunda for a diverse and highly energetic rally for clean water. Sustainable farming trailblazer Audrey Arner emceed and headline speakers included and Winona LaDuke, Ann Bancroft and Gov. Mark Dayton – who officially proclaimed April 19, 2017 to be “Water Action Day” in Minnesota! Between the inspiring and invigorating speeches, we were treated to the phrase “water is life” in a dozen languages spoken by Water Action Day attendees. Throughout the rally, we were particularly heartened to see signs representing the hometowns of residents from across rural Minnesota – proving that Water Action Day truly represented all Minnesotans. Following the rally, many attendees participated in the afternoon Environmental Quality Board meeting, which was moved to the Capitol just for Water Action Day. There, attendees were given the opportunity to provide their thoughts on how the EQB can best help Minnesota achieve Dayton’s goal of reducing Minnesota water pollution by 25% by 2025. This included special testimony from FMR Executive Director Whitney Clark and the U of M Water Resources Center’s Jeff Petersen on strategies to move the needle on water quality in Minnesota. To relive some of your favorite moments from the day, check out the "Best of" photos. In addition, multiple new outlets covered Water Action Day, including a terrific in-depth summary of the event by MINNPost's Ron Meador. Knowing that Gov. Mark Dayton is the primary person who can prevent this session’s historically bad water bills from becoming law, Water Action Day participants took shifts in front of the Governor's Residence in early to mid-May. Calling the gatherings Water Action Daily, many brought their family and friends, not to mention their creativity. Got five minutes? How about one? Everyone is pressed for time, but we're making it quick and easy to take action for clean water. Now through the end of the session, KeepMNClean.org is posting daily actions you can take to influence the governor and your legislators. Sign up for their weekly email digest with to receive a select handful of actions you can take online. 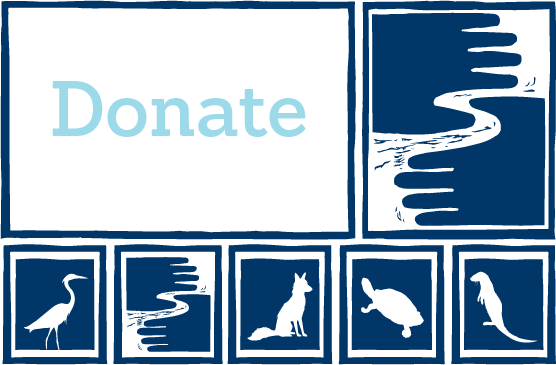 If you prefer to weigh in less frequently, or focus specifically on the Mississippi River, sign up to be an FMR River Guardian and we'll be in touch when we need your help the most. Again, many thanks to everyone who participated — and everyone who has signed on to be in touch this session! Together, we will continue to stand up for clean water for all Minnesotans – and make sure that historic efforts to rollback clean water protections will be defeated in 2017.